He’s not alone in his thinking either. Many very successful people also swear by the efficacy of meditation, including Oprah Winfrey, Michael Jordan, Hugh Jackman, and many more. This may be because, as he describes it, we are our most creative selves in times of stillness, because that is the time when we’re most open. Throughout the book, Simmons approaches the topic of meditation from a business point-of-view, and does not try to convince to meditate because of any idealistic or spiritual purposes. He keeps his arguments matter-of-fact, and rooted firmly in rationality. It may seem counter intuitive to “do nothing” in order to do great things, and indeed meditation is ripe with paradox. However, in this book, Simmons clearly explains what meditation is, along with the vast mental and physical benefits of meditation – all of which are scientifically proven, and require no greater “faith”. 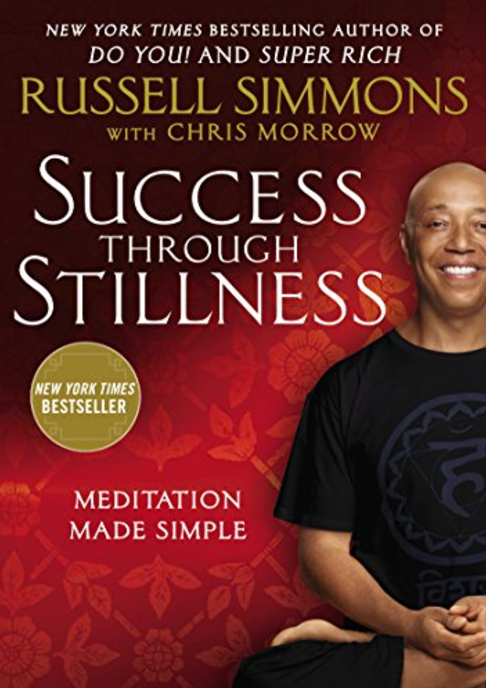 As someone who deeply respects Russell Simmons, his short, simple, and highly convincing book about meditation was exactly what I needed to solidify my faith in the process of meditation. I can personally attest to the power of meditation. I now regularly meditate an hour every single day (20 minutes in the morning, afternoon, and evening), and my life has greatly improved!